Here a new series from studios "ANIMACIJAS BRIGADE" (Latvia). Based at RIGA, ANIMACIJAS BRIGADE studio is specialized in puppets and figurines animation. Founded in 1966 by Arnolds BUROVS - director of puppet shows - the studio produced a hundred films, inspired for the majority of Latvian or foreign tales, as well as comics. 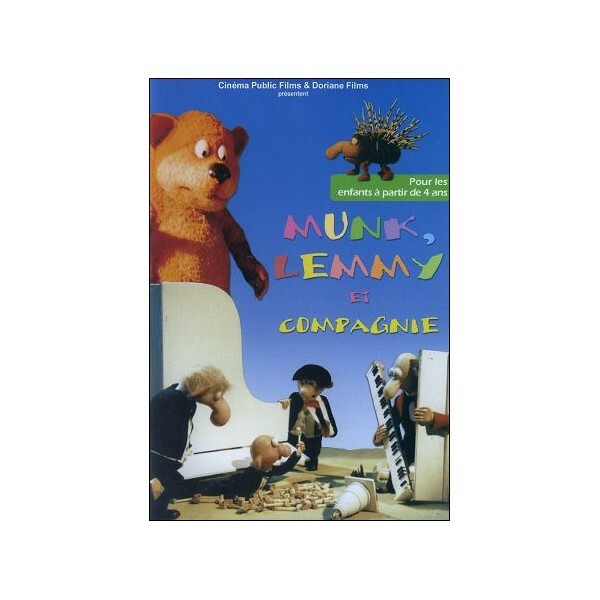 The Nineties saw the studio being directed towards a series production for children like MUNK & LEMMY & LES ESPIEGLES, from where the films from this program result. One of them, ON S’ENVOLE received the OURS DE VERRE price at BERLIN Festival (1995), price which rewards the best film for children !